An interesting first look poster of Rajaratha is now out and it has already caught the attention of the social media. A lot of people are sharing the posters and the film has generated so much hype for many reasons. 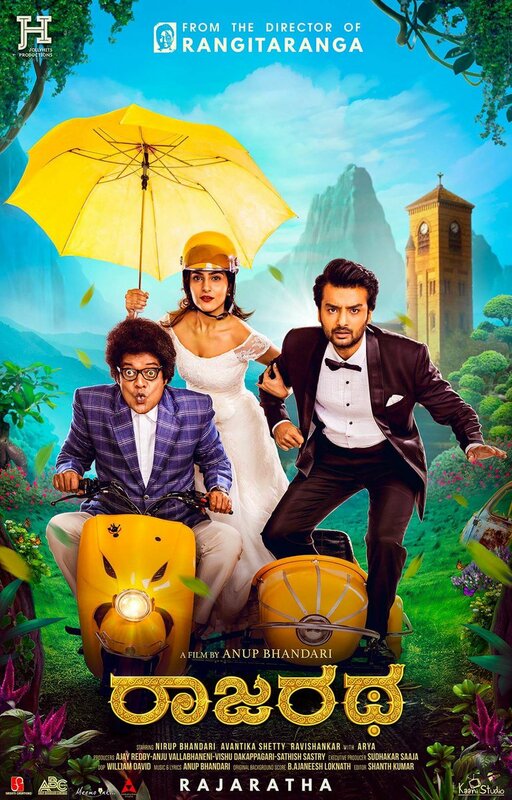 Rajaratha is the second venture of Bhandari brothers who earlier made Rangitaranga. Armuga Ravishankar steals the show with his peculiar pose in the poster which also has Nirup Bhandari and Avantika Shetty in it. The bilingual movie is being shot in Telugu and Kannada at once. Surprising fact is that Tamil actor Arya essays a fun cameo in this flick.